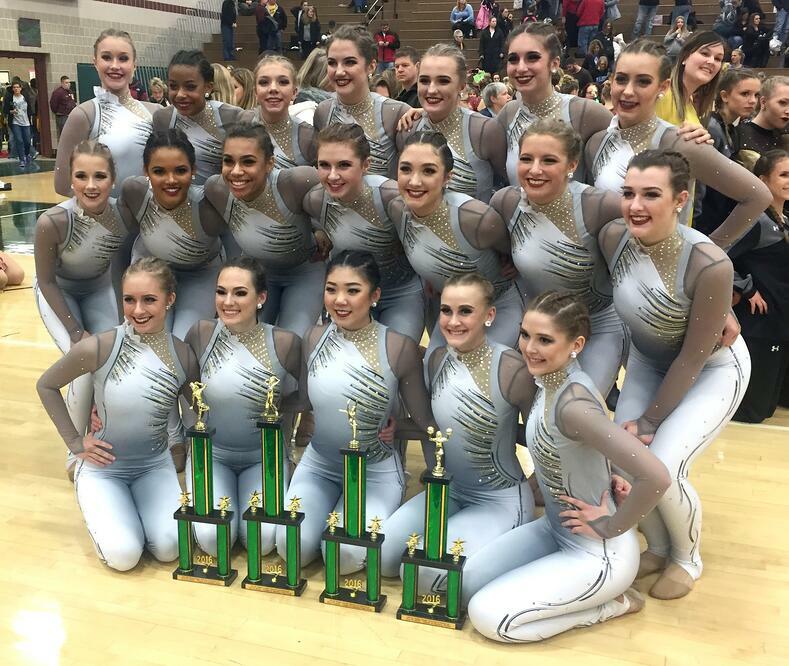 The NDADD State Competition and NDTC Nationals brought competition season to an exciting conclusion for our high school dance team friends in North Dakota this month! The state has a small yet vibrant dance community that KNOWS how to do custom high hick unitards. We've also noticed that these ladies aren't afraid of the velvet, which is perfect because we predict velvet is making its way back into dance fashion! Check out a few of the North Dakota dance teams we were proud to have outfitted with their #LineUpLook this season! 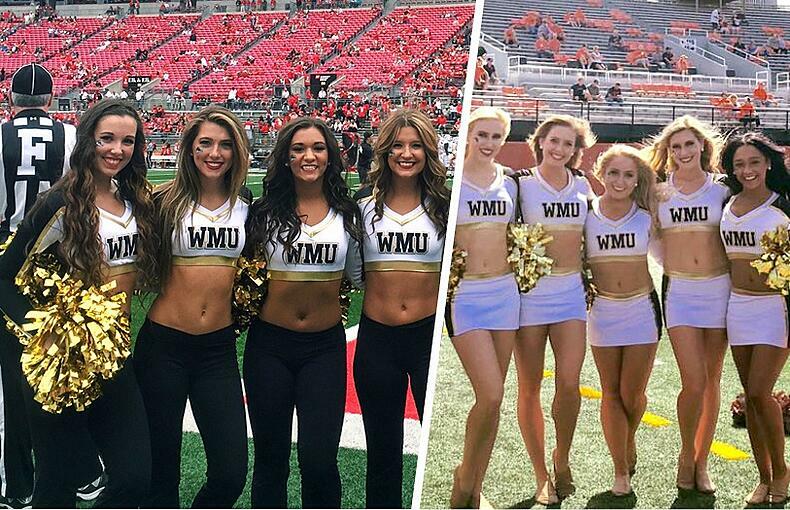 Western Michigan Dancers reordered their 2015 gameday top (left) in 2016 (right). Photo credit: WMU Dance Team. A new season means new team members - Yeah!! What are they going to wear? If you're like many teams on a budget, you're likely going to re-use last year's dance costumes, but will need to order a few more. Maybe you need a few more of a popular size. Or you just accepted more members than the year before. Either way, a good costume company will be able to help accommodate your dance costume re-order needs!